Starting as a geographer, Paul Dibb became one of Australia’s great strategists. The discipline of geography is vital to the Dibb understanding of power, strategy and defence planning. For Dibb, geography disciplines strategy in the same way that you’re not discussing defence until you’re talking dollars. In one of my first radio interviews with Paul—35 years ago—on the Soviet Union and the Baltic states, he sat with the atlas in his lap, summoning thoughts via his eyes and hands on the map. 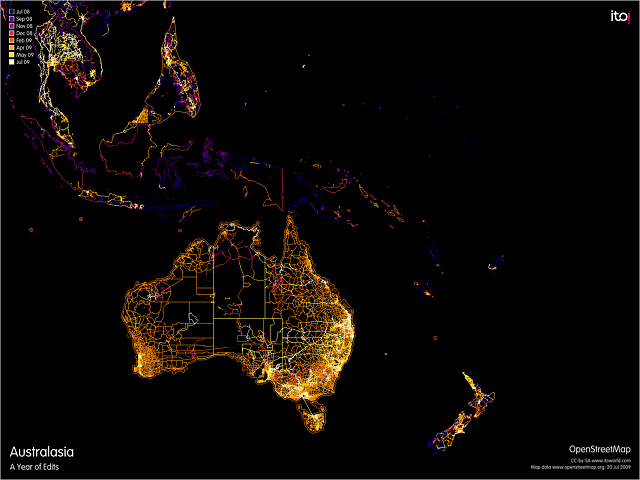 This map has been the terrain for wars that have raged through Canberra for decades. The arguments can ascend towards the arcane, but big decisions and dollars and careers are in play. In the conceptualising and understanding of Australian defence, Paul Dibb has been as important as the best defence ministers of his time. That means his impact has been more enduring than a lot of recent defence ministers. Dibb is accused of geographic determinism. Others mean this as an insult. He embraces geography as the tool that orders much else, enabling Australia to tell the difference between broad interests and vital interests. Strategic geography is the iron discipline. Australia’s ‘area of direct military interest’—10% of the globe—stretches east-west from New Zealand to the Cocos Islands, and north-south from Indonesia to the Southern Ocean. Canberra’s rolling Dibb wars are gathered in one volume, in the fine ANU tradition of honouring the vertical man rather than the horizontal man. The essays in honour of Paul Dibb, ‘Geography, Power, Strategy & Defence’ can be found for free here  and all the battles are recounted. For Army, Dibb was a swear word. The counter-arguments were many: Dibb’s regionalism versus globalisation or Dibb’s geography-based defence of Australia versus the Army’s expeditionary tradition of going far afield in support of big allies. And what had Dibb’s geographic obsession to say of 9/11 and the George W. ‘war on terrorism’? One other bit of geography. Paul Dibb comes from a mining village in Yorkshire. In the definition and discovery of the strategic meaning of Oz geography, Captain James Cook  is the most important Yorkshireman; Dr P. Dibb, AO, is second. Dibb exactly—he still thinks a butty constitutes food. Using Yorkshire cricket as the template, Paul is Geoff Boycott in defence and Fred Trueman in attack. And in attack or defence, he delivers with a grin. If the stakes are important, the energy must match the strength of the logic. He enjoys a fight as much as a feed—and he knows both work better with a glass in hand. In the phrase ‘robust public debate’, Paul Dibb has all bases covered. The word ‘public’ matters. For most of the 20th century, Oz defence was Top Secret Stuff—to talk was treachery. One of Paul Dibb’s many contributions to Oz strategy was to shred the ‘Secret Canberra Men’s Business’ conducted deep inside the Defence Department. Dibb knows that strategy is both performance art and dark art. Much must be done—and explained—in the open, and Paul Dibb’s life as public servant and public intellectual has helped remake the role of the Oz strategist. Graeme Dobell is the ASPI journalist fellow.